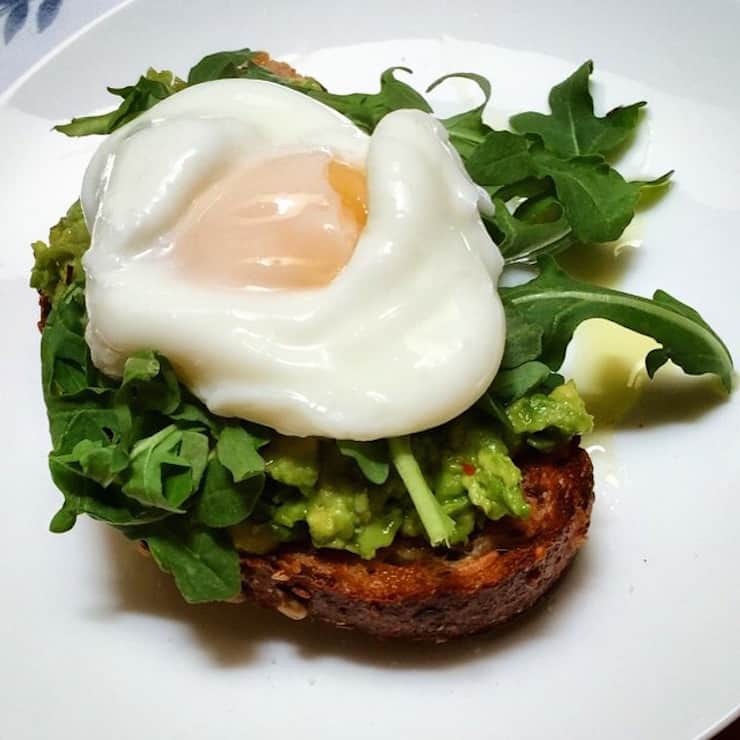 Avocado toast is quite the thing now. I love it and have it for lunch all the time. I probably have it too much, if that’s possible. This post is short and sweet. Let’s get right to the point. 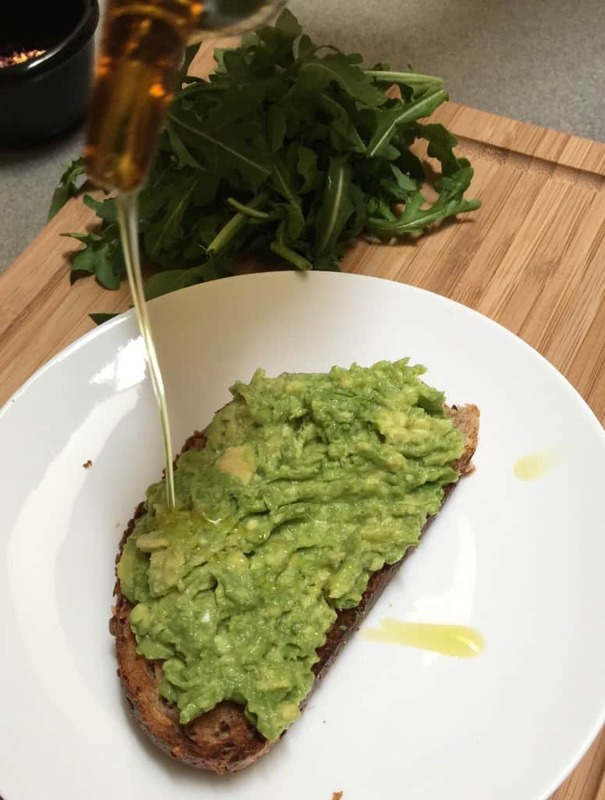 My favorite way to make it is on good, whole grain bread and drizzled with olive oil. And sea salt and crushed red pepper. Then I toss on some baby arugula for a little more peppery bite. 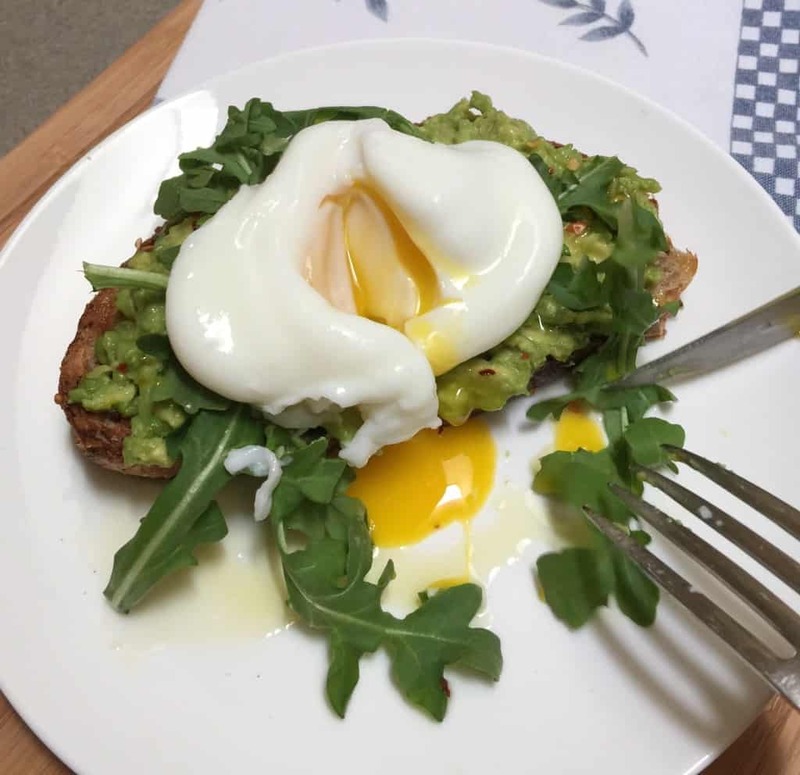 Voila, avocado toast. But sometimes I can’t stop there and have to gild the lily with a poached egg. Oh man, so good. Either way, it is delicious and satisfying. Mash half an avocado in a bowl with a fork. Spread on toasted bread. 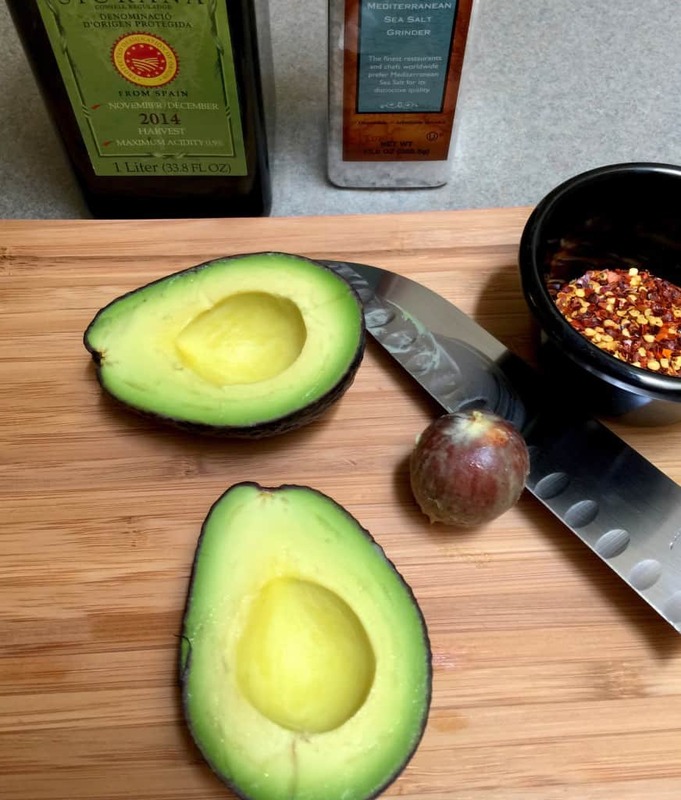 Drizzle with good olive oil and then sprinkle salt and crushed red pepper. 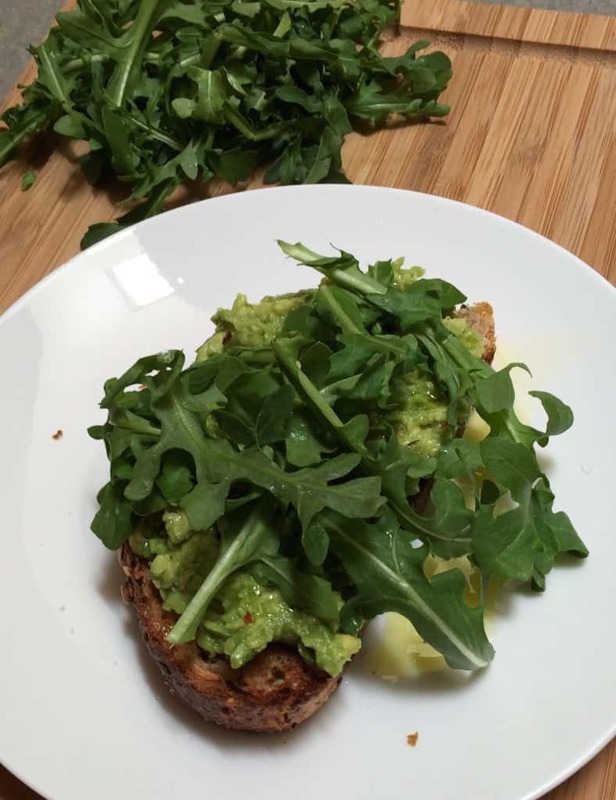 Top with some baby arugula. Optional: top with a poached egg. This looks delish! Can’t wait to try it. Thanks. It’s so good, you’ll love it! I prefer this to a regular sandwich..not much of a lunch meat fan! I agree. Hope you like it. Miss you and Don. Thanks Kelli…love the recipes and stories that go with them.